Firstly, I'll share the book description for this version of Pride & Prejudice with you, and then hand over to Sophie for her guest post. Thank you so much for having me back here at Babblings of a Bookworm, Ceri! 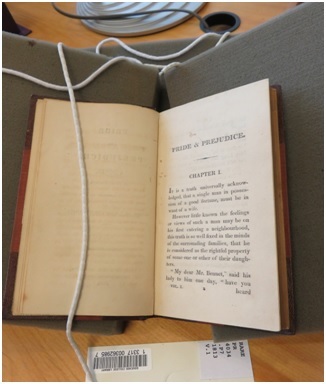 I’m really excited to be here talking about this project, to produce a digital edition of Pride and Prejudice restored to the 1813 Egerton first edition, save errors. In my last post, at My Love for Jane Austen, I wrote about the publication process, both of that first edition, and of this digital edition. Today I’d like to delve a little more into the economics of publishing that first edition. Jane Austen sold the copyright of Northanger Abbey for £10 to printer Benjamin Crosby, who never set the book in type (ultimately, many years later, he sold it back for the same amount, without knowing it was by the author of novels that were by that time quite successful). Perhaps this was why she chose to fund the printing of Sense and Sensibility; it meant taking on more risk for herself (and her brothers), but had greater certainty of its actually getting into print. The £180 she spent in publishing (via Thomas Egerton) 750 copies in its first run did turn out to be money well spent, for it sold out and earned her about £140. This is where the tragedy comes in. Before she knew of the success of Sense and Sensibility, Austen sold the copyright for Pride and Prejudice to Egerton, for £110; she had been hoping for £150, but accepted Egerton’s first offer. It was not an insubstantial sum, for a woman who had significantly less than that per year, for her personal expenses, but tragic when you consider how little she made from a book with such enduring popularity. While I was researching historical covers for my guest post at My Vices & Weaknesses, the thing that astounded me was the sheer number of editions that have been published of this novel. Indeed, it has never been out of print, and has sold 20 million copies worldwide. While the exact size of the initial printing is unknown, it’s probably somewhere between the 750 from S&S, and Emma’s 2,000. Whatever the number, it is entirely dwarfed by what has come since. It was Egerton, therefore, who profited from the second printing, which came later in 1813, and the third, in 1817, and not Austen. Then again, it might have been worse. Austen’s father had attempted to publish First Impressions, that first version of the novel, at the author’s expense, via Cadell and Davies, in 1797. This effort was unsuccessful, but what if it had been successful? We can never know exactly what similarity this version bore to what was finally published, but I suspect that save the work Austen did in seeing it “lopt & cropt” to the perfect pacing of the version we know, it would not have been as successful. Possibly, if in the epistolary format as some think, it might have done well for the time. But I do not think it would have had the enduring popularity it does today, in such a format. How did the rest of Austen’s novels fare? Well, she never again sold her copyrights, but the ambitious printing of Emma did not immediately pay off, and the second printing of Mansfield Park also sold slowly. As James Raven records, Murray had offered her £450 for the copyrights to Sense and Sensibility, Mansfield Park, and Emma, and in hindsight she would have been slightly better off in taking it. She made £684 13s from her work during her lifetime, and subtracting out the initial money earned from S&S and P&P, this means she would have been slightly better than 15 pounds up, if she had sold the copyrights. I expect that the experience of Pride and Prejudice influenced her in this decision, however, and unfortunately it seems she sold and did not sell at the wrong times. Indeed the best deal she might have made was to purchase back Northanger Abbey, although even that she did not profit from within her lifetime. What did it cost as a reader, to buy Pride and Prejudice? 18 shillings, in boards (for more on what that means, check out my covers post). This would have been between about 8-10% of the income for a housemaid, and 1.8% of Elizabeth Bennet’s income if she had been living on those 50 pounds per year she was to inherit. People of such incomes would rarely—if ever—buy books; they would have read Pride and Prejudice through a subscription to a circulating library (hopefully without horrifying their odd parson cousins, of course). Your Mr. Darcy types would have easily paid the 18 shillings, and then paid still more to have the volumes rebound in leather, to match their un-neglected libraries. Interestingly Raven writes that the cost of books increased from 1785 to 1810, due in part to the increase of labour costs, but more because the cost of paper increased. Sense and Sensibility in 1811 had cost 15 shillings, but Pride and Prejudice was three shillings more. This is more for a historian to research, rather than myself, but I do wonder if the general shortage of timber played a role. This was at the height of the Napoleonic wars, when Britain’s “wooden walls,” its warships, produced a high demand for wood, and a major source of timber was lost with the independence of the United States. General inflation caused by war may also have played a role. If you had held onto that 18 shilling copy, it would have proven to be a rather good investment, at least for your heirs. In 2010, a first edition sold for £139,250 at auction. 139,250 pounds for a single copy, and 20 million copies overall, for a novel Jane Austen made 110 pounds on. It bothers me. 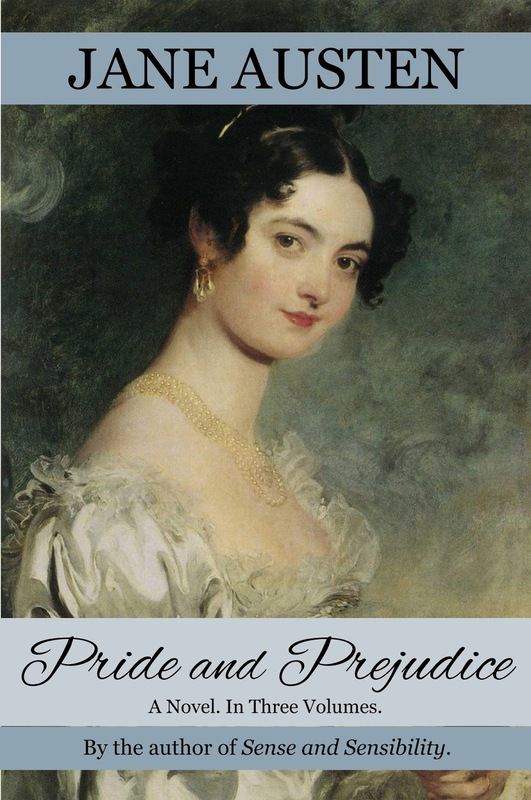 Pride and Prejudice has not belonged to her since 1813, and it has not belonged to anyone since it entered the public domain. In a way, this has been good—digital copies of the book are freely available to readers. But it has been my experience that these digital copies are poorly formatted, and, more critically, inaccurate. They have eroded significantly from what was published in 1813, from the novel Jane Austen held in her hands. This was why I wanted to create the restored edition, and why I wanted to price it for free on any channel that would allow it, and at the minimum on any one that wouldn’t. (If you’d like to help with this, please participate in my campaign to make it free on Amazon.) Pride and Prejudice belongs to readers, now, but I want readers to experience it in Jane Austen’s true voice, with the words and the punctuation as they were in 1813. So if you are an ebook reader, I hope you will make your next reread of this beloved novel my restored edition! Alas, her Constant Love series is only planned to be seven books right now, and consists of A Constant Love, A Change of Legacies, and the in-progress A Season Lost. 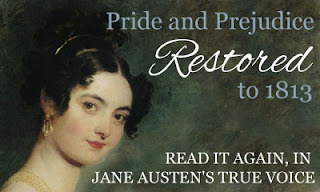 Sophie is kindly giving away an ebook of Pride & Prejudice, by Jane Austen, Restored to the 1813 Egerton Edition and Annotated by Sophie Turner. To enter, just leave a comment on this post by the end of the day on Friday 22 September, ensuring that you leave me a way to contact you, in case you are the lucky winner. Thank you, Sophie, for doing such a wonderful thing by restoring Jane's masterpiece to its original state. I'm sure she would be so pleased. I agree, Pam, I think Sophie's project of making available a digital edition that is as close to possible as the original is such a wonderful gift to us all. Sophie,what a fantastic thing for you to do,to take our beloved P&P and restore it using Jane's specific choice of words!! I hope she's looking down on you with a smile upon her face,grateful for all your efforts! We certainly are!! Cheers Ceri for this post in support of Sophie's efforts! I was so happy to support Sophie in this wonderful project, Mary. How delightful and I applaud you and your efforts to restore this to its original state. I can see by the photo how lovingly you treated the older edition. I was so touched by the consideration and reverence used to preserve the older edition. Thank you for all your hard work and dedication to Austen's work. Well done!! Thank you, J. W.! I can't claim credit for that, though -- that was Goucher College's setup for looking at old books. I was actually pretty amazed that I could just make an appointment and go work with a first edition of P&P. Thanks Jeanne! Sophie has gone to such pains with this project. Thank you so much for hosting me here and supporting this effort, Ceri! 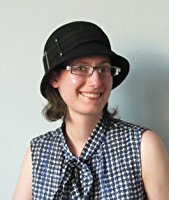 I was very pleased to be able to support this project Sophie, and the fact that you've been trying to make it free, shows what a generous spirit you have been showing while trying to preserve a beloved work! Hopa, hopa, hopa that I win a copy. And I wish you well-deserved good sales as well, Sophie. Thank you, Maclaney! I actually wish that it wasn't sales and that Amazon would switch the book to free, but despite the many people who have reported it, they don't seem to be doing so. Love all the research you posted here and can't wait to see what this restored edition holds for us readers. Thanks Sophie Turner for all your hard work and thanks Ceri for featuring it here. Thank you, Jen! I hope you enjoy the restored edition. Thanks for stopping by Jen. It will be wonderful to read a version that's as close as possible to the version that the readers of the first edition enjoyed. You're welcome, and thanks for your interest in it! Dedication is the word, Denise! Thanks for commenting. Sophie did the world a huge favor - I can't even wrap my mind around all the work and research she put into it. Thank you. That's just how I feel about it, Sheila, it's a huge service for Austen Admirers worldwide. It is really interesting to me to think about how simple things like spelling and punctuation can change how a book is meant to be read. Thanks to Sophie for such an amazing job! Thank you so much, Leah! Yes those little things really can add up to make a big difference. Definitely, Leah, emphasis, spelling and punctuation all make a huge difference to the meaning!